50 games without Ryan Braun: What do the Brewers need to do to stay in the playoff race? At the time I post this, the Milwaukee Brewers are still waiting to hear the fate of their NL MVP Ryan Braun. Will he serve the entire 50-game suspension? Will it be reduced to 25 games? Or will a reversal of the suspension answer the Brewers prayers? As the Brewers and Braun wait, the Brewer faithful are anticipating the worst… 50 games without Braun. If that is the case, the question becomes, what do the Brewers have to do in the win-loss column to stay above water until Braun returns? To help answer that question, here’s a look back at the last 12 seasons and how each of the eight playoff teams (four in the American League and four in the National League) were doing after 50 games. * Of the 96 teams that made the playoffs in the last 12 seasons, 78 were above .500 at the 50-game mark. * Of the 96 teams that made the playoffs from 2000-2011, 6 had 25 wins and 25 losses after 50 games. * Of those 96 teams, only 12 (12.5%) were under .500 after the first 50 games. Here’s a look at the 12 teams that were under .500 after 50 games yet made the playoffs in the last 12 seasons. Did you know? The average record after 50 games of the 96 teams that made the playoffs from 2000-2011 was 28-22. With all the excitement about the Packers unbeaten season and the Wisconsin Badgers football team’s journey to the postseason, haven’t had an appropriate tribute to Ryan Braun‘s National League MVP honor. Here’s a look at some of the stats behind the honor. 1. Braun and Prince Fielder became the first teammates since 2000 to finish in the top 3 in the National League MVP balloting (Jeff Kent and Barry Bonds of the San Francisco Giants finished 1-2 in the 2000 NL MVP Award.) Twenty-three sets of teammates have finished in the Top 3 of A.L. or N.L. MVP balloting since 1970. The last American League duo was New York’s Mark Teixeira and Derek Jeter who finished 2-3 in 2009. 2. This was the first year in Major League history that the two winners of the MVP awards were former Rookie of the Year recipients. Braun was N.L. 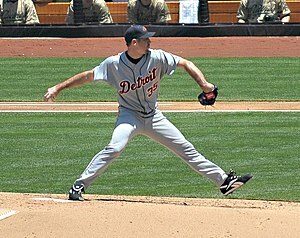 ROY in 2007; Justin Verlander was A.L. ROY in 2006. 3. As noted above, Braun was N.L. ROY in 2007. The A.L. ROY that year was Boston’s Dustin Pedroia. Braun won the N.L. MVP this year, Pedroia was A.L. 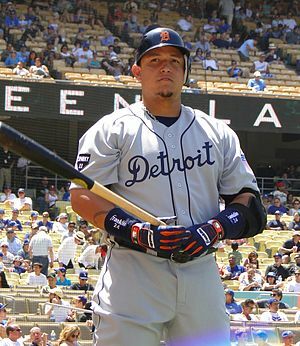 MVP in 2008. This is the first time in baseball history that two Rookie of the Years from the same year have both gone on to win an MVP award. 4. Braun became the 22nd player in baseball history to win a Rookie of the Year award and a league MVP honor. Of the 22 players who have accomplished this feat, nine are currently in baseball’s Hall of Fame: Jackie Robinson, Willie Mays, Frank Robinson, Orlando Cepeda, Billy Williams, Rod Carew, Johnny Bench, Andre Dawson and Cal Ripken, Jr. Of those 22 players, 14 of them won their MVP award within five years of winning their ROY honor. Both Braun and Verlander joined that group this year. 5. Since 2007 when Braun began his major league career, he has received votes for the league MVP each of the five years of his five-year MLB career. The only other players to have received MVP votes in each of the past five years are: Ryan Howard, Albert Pujols, Miguel Cabrera and Adrian Gonzalez. 6. 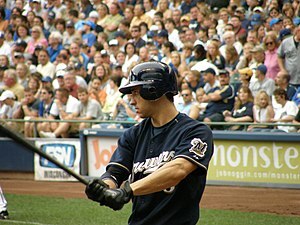 Braun became the fourth Brewers player to finish in the Top 5 of the league MVP in two or more seasons. Can you name the other three players? 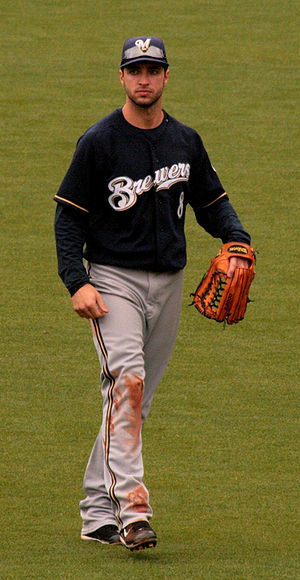 Braun finished in the Top 5 of the league MVP in 2008 and 2011; Fielder finished in the Top 5 in 2007, 2009 and 2011; Robin Yount in 1982 and 1989 (he won the award both years) and Cecil Cooper, who finished in the Top 5 in 1980, 1982 and 1983. There has been quite a bit of talk and discussion among baseball experts and analysts about the possibility of Detroit’s Justin Verlander winning the American League Most Valuable Player. The Tigers pitcher has a record of 22-5 and an ERA of 2.56 to go with 232 strikeouts as of Sept. 10 for the division-leading Tigers. Whether or not you believe he deserves the honor or if pitchers should even be considered for the honor, past history has shown that the voters have been less than enthusiastic to name a pitcher the MVP. In the history of the MVP award, 23 pitchers have won the MVP honor; 10 in the National League, 13 in the American League. The last pitcher to win an MVP was Dennis Eckersley in 1992. Bob Gibson is the last NL pitcher to win the MVP; he won the award in 1968. WE INTERRUPT THIS BLOG FOR A TRIVIA QUESTION. Can you name the last NL pitcher to finish in the top 5 for the MVP award? Hint: It was an Atlanta Braves pitcher in the ’90s. Answer at end of blog. Following is a look at the pitchers this century who have finished in the Top 10 of the MVP voting. As you will see, only one pitcher, Pedro Martinez in 2000, has finished in the top 5 in the past 11 seasons. TRIVIA ANSWER: Greg Maddux was the last NL pitcher to finish in the top 5 in the MVP voting. Maddux had a 19-2 record with a 1.63 ERA in 1995.